Distribution and habitat: Hippeastrum is a genus of about 90 species and 600+ hybrids and cultivars of bulbous plants, native to tropical and subtropical regions of the Americas from Argentina north to Mexico and the Caribbean. Some species are grown for their large showy flowers. 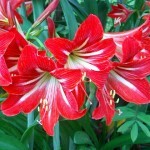 Description: Hippeastrum hybrids are widely used as indoor flowering bulbs. 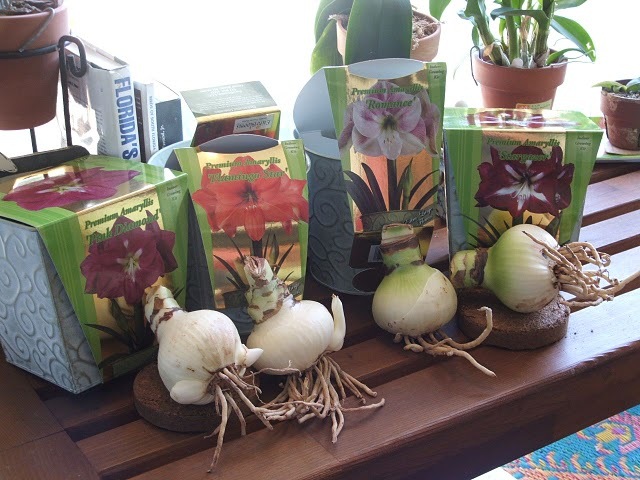 Hippeastrum have a dormant winter rest period when leaves dry up and are shed and so they are usually offered for sale as dry bulbs. Few of the original species are now available as plant, breeders having concentrated on developing a wide range of hybrids. Among these are many varieties (kinds selected for a particular attribute, named and propagated from offsets) and unnamed seedlings which are sold by colour. Flowers, which are usually produced in early spring, are trumpet shaped with prominent stamens and may be white or various shaded of red, orange or, quite rarely, yellow. Some of the flowers are almost all in one colour; others may have margins, streaking or throat markings of different colour or shade; all are very striking, however. Hippeastrum leaves usually emerge in early spring (though occasionally in late winter before the flower stalk). They arise from the neck of the bulb and arch over alternately on opposite sides, are medium green, strap shaped and when they are fully developed are up to 45cm (18 inch) long. A thick, hollow flower stem (up to 45cm (18 inch) tall) appears from one side of the bulb, generally in late winter. Very large bulbs (10cm (4 inch) or more in diameter) may produce two flower stems, one forming the other. Each stem carries two, three or four blooms and in particularly fine types every bloom can be as much as 15-17cm (6-7 inch) across. Each last for two or three weeks. 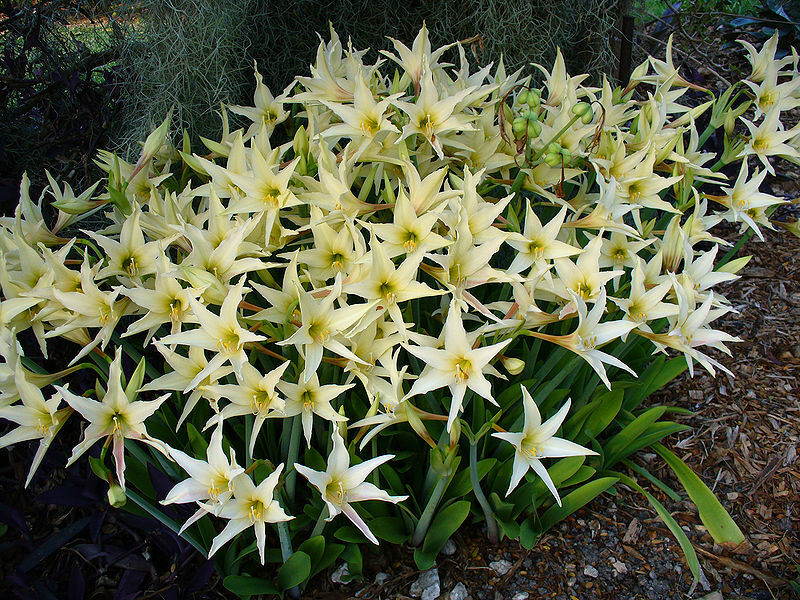 Some bulbs have been specially treated to flower earlier than normal – usually in the middle of the winter. Houseplant care: The newly purchased Hippeastrum hybrids bulbs has a perfect embryo flower already formed. All that needs to be done in the first year is to pot the bulb up and care for it until it flowers. There after, some skills is required to make sure that it blooms in subsequent years. 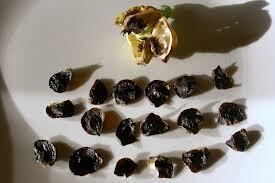 Prepare bulbs for the dormant period by removing all the dried foliage. 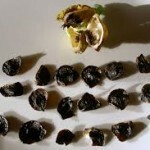 Leave them in their pots of mixture and store the pots in a thoroughly dry place at a temperature of about 10°C (50°F). 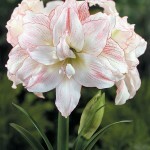 Bulbs which have been treated to bloom early must be particularly well tended to ensure generous flowering. 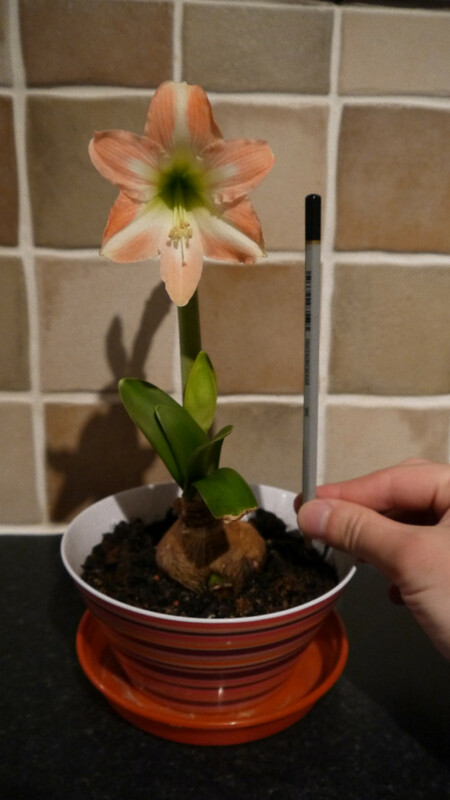 If a Hippeastrum produces lots of leaves at the beginning of the growing season, it is unlikely that the bulb will flower; the first thing to emerge from the bulb is usually the flower bud. 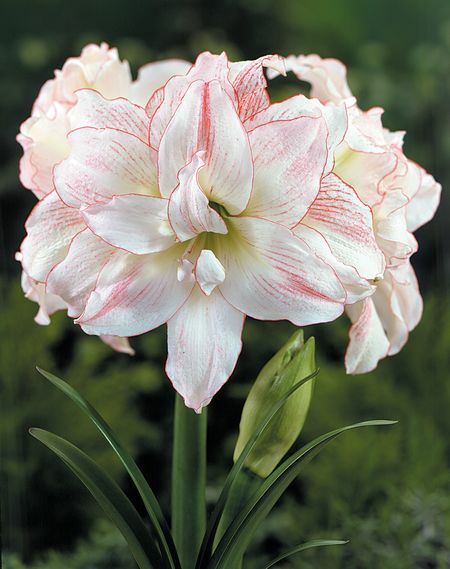 Light: Hippeastrum need bright light, with some direct sunlight, throughout the active growth period; during the dormant period light is unimportant. Too little light when the plat is in active growth results in elongate leaves and in no flowers the following year. A continuous position in bright sunlight from the time flowers fade until mid-autumn will contribute more than any other factor to subsequent flowering. 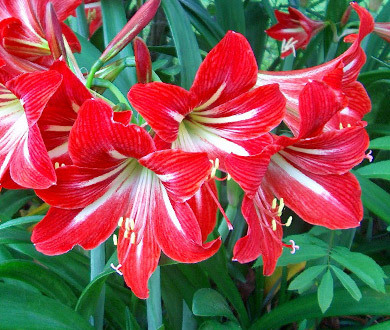 Temperature: Normally warm room temperature encourage fast growth and bring Hippeastrum into early bloom, but too much heat will considerably shorten the life of the flowers. 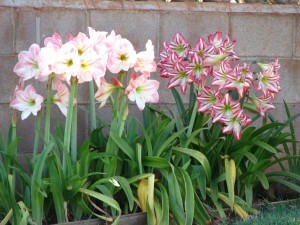 A temperature no higher than 18°C (64°F) is advisable for Hippeastrum at flowering time. Watering: Newly potted bulbs should be watered sparingly – just enough to keep the potting mixture barely moist – until roots develop (as indicated by the appearance of healthy new growth). Thereafter, water more moderately, but let the top half of the potting mixture dry out between waterings. When plants are in full growth, water enough to keep the potting mixture constantly moist. After the active growth period has ended, some growers continue watering (on a reduced scale) for quite a while, but is probably best to stop in mid-autumn, so that the bulbs begin to get an enforced rest. After watering stops, the foliage will become yellow and wither away. If watering is continued too long, the past year’s foliage will remain green and unattractive. Keep the potting mixture completely dry throughout the rest period, which lasts until new growth (usually the tip of the flower bud) begins to appear. Fertilising: Apply standard fertiliser once every two weeks from the time the flowers have finished blooming until mid-summer. Then switch to a high-potash fertiliser, such as is usually recommended for tomatoes; this will help to mature the bulb and ensure a flowering stalk the next year. Discontinue feedings entirely after about mid-autumn. Potting and repotting: Use a rich soil based potting mixture and put plenty of clay-pot fragments in the bottom of the pot to aid drainage. New bulbs should be set singly in 13-17cm (5-7 inch) pots; half-bury the bulb, leaving its neck and shoulders clear of the potting mixture. Soaking the base of dry bulbs for 24 hours in shallow saucers of water may assist initial growth. The mixture should be firmly settled around the bulb and any existing roots. Hippeastru hybrids dislike root disturbance and flower best when left alone. 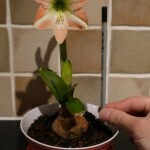 For three or four years after initial potting, simply take the bulb out of its pot with the tangled root ball intact, remove a little loose potting mixture from above and between the roots, replace the bulb in the same pot and work some fresh mixture into the spaces made. It is best to do this when the first signs of new growth appear, just the beginning of the active growth period. Repot completely at three or four year intervals. Shake the bulb free of the old mixture and replant it in completely fresh potting mixture. Propagation: Small bulbs are produced around the base of the parent bulb and can be detached when about 2-3cm (0.7-1 inch) across, keeping as much root as possible attached to them. This is best done at the time of repotting. Plant young bulbs initially in 8cm (3 inch) pots, but otherwise treat them just the same as adult bulbs – but move them in slightly larger pots each year until they have grown to flowering size (about 8cm (3 inch) across). 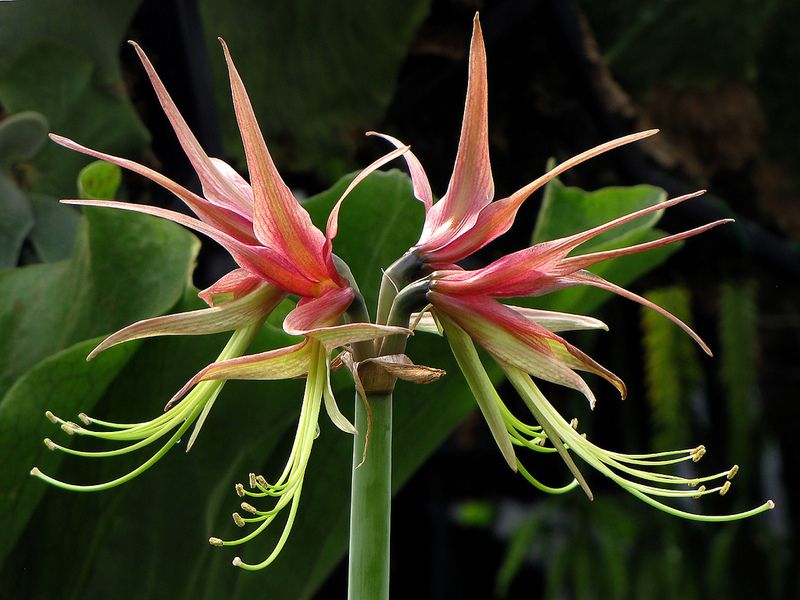 Hippeastrum hybrids may also be raised from seed – a process involving a three to five-year wait for flowers. Seedlings are not given a rest period but kept growing through to flowering size without a break. Seedlings can produce some interesting surprises in both colour and markings. Notes: Hippeastrum are bulbous plants often incorrectly called Amaryllis (which are quite different plants, though belonging to same family). 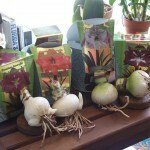 The generic name Amaryllis applies to bulbs from South Africa, usually grown outdoors. There are five types of flowers with Hippeastrum hybrids: 1) single flower; 2) double flower; 3) miniature; 4) cybister; and 5) trumpet. Cybisters have extremely thin petals and are often described as spider-like. Trumpets, as the name suggests, have flared, tube-shaped flowers. 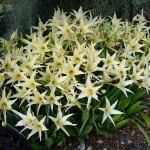 Single, double, and miniature bulbs are the ones typically sold by nurseries. 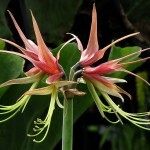 Uses: What makes this houseplant an excellent choice is its small size and comparatively big showy beautiful flowers. Hippeastrum hybrids makes a good plant for mass planting, container or above-ground planter, border, naturalizing or edging.